The city of Coffs Harbour has won the globally-acclaimed International Festivals and Events Association (IFEA) World Festival and Event City Award – for the second year in a row – once again gaining recognition alongside some of the world’s biggest cities. “The partnership with and support of the local community, at all levels, is critical to the success of any festival or event and this is what I’m most proud of – having recognition for the amazing work this community achieves by working together to attract and successfully run a huge range of major events and community festivals,” said Coffs Harbour Mayor, Councillor Denise Knight. Coffs Harbour is known regionally for the diversity of the events it hosts. These range from the Kennards Hire Rally Australia, to the many Touch Football and Oz Tag Championships, Coffs Harbour International Buskers and Comedy Festival, Coffs Coast Cycle Challenge, the Multicultural Harmony Festival, Woolgoolga Curryfest and Sawtell Chilli Festival. NSW Minister for Trade, Tourism and Major Events Stuart Ayres said the awards are an important acknowledgement of our State’s robust major events strategy and tireless work to secure world-class events for NSW. The events hosted by Coffs Harbour bring many millions of dollars and hundreds of thousands of visitors into the city and region every year. Other winners of the 2016 IFEA Festival and Event City Award include – Dubai (UAE), Sydney, Krakow (Poland), Philadelphia (USA), Newcastle (Australia) and Taupo, (New Zealand). 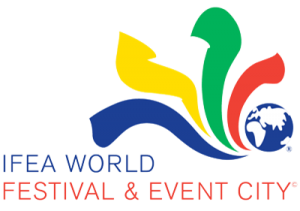 The 2016 IFEA World Festival and Event City Awards were announced during the IFEA’s 61st Annual Convention and Expo in Tucson, Arizona, USA.